Stream anime episodes online for free, Watch One piece Episode 63 English version online and free episodes. 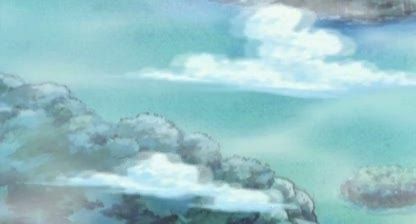 Anime Episode guide One piece Episode 63 English dubbed A Promise Between Men! Luffy and the Whale Vow to Meet Again! While guiding them out of the giant whale Laboon, its caretaker, Crocus, tells the whale’s story to the Straw Hats, that it was left behind by a group of pirates when they began their journey through the Grand Line and abandoned when they fled through one of the calm belts and that once he told Laboon what had happened, the whale started ramming its head against the Red Line, not believing what Crocus said because that would mean losing its reason to wait.